Eric Thalken works down a row of organic corn in Nebraska, pulling back the husks. "There's a mindset that organic is ugly and low yielding and it just doesn't have to be," Thalken says. Eric Thalken, whose wife is a member of the extended Burkey family, led the charge after an alfalfa field caught his eye. It was full of weeds, he says, "and so it gave me the idea that this could be certified organic right away." 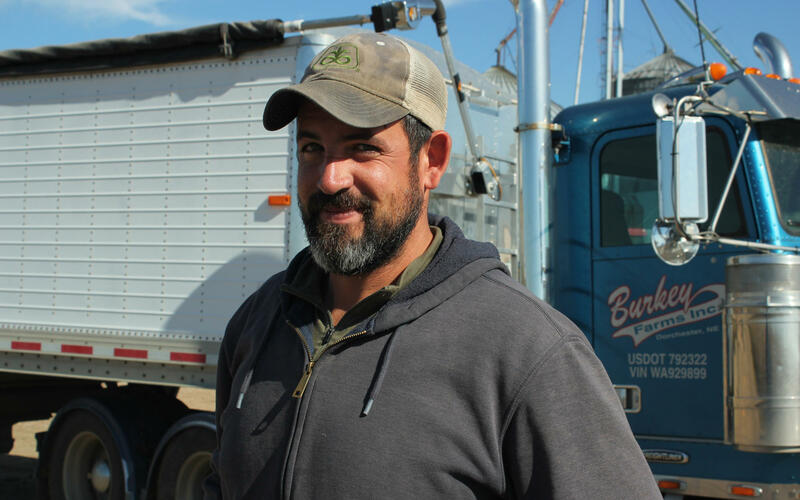 Thalken persuaded Burkey Farms to switch that weedy field to organic. And now, all 2,400 acres are making the transition. It takes three years to be certified as an organic farm. During that time, farmers cannot use genetically modified seed, synthetic pesticides or synthetic fertilizer. But there’s a significant payoff. Thalken pulls back the husks on a few ears like he’s unwrapping Christmas presents. "Some of (this corn) is sold at $8.80, some of it’s sold at $9," Thalken says. That’s almost triple the current price for conventional corn. Prices for conventional corn and soybeans have been hovering around the break-even mark. Farmers have been spending down their savings and borrowing more money to get by. There were 5 million acres of organic fields and pastures in the U.S. in 2016, according to the U.S. Department of Agriculture, a 37 percent increase over the last five years. It’s still a small percentage of farmland overall, but several states have seen a jump the amount of land devoted to organic crops: soybeans in Iowa, corn in Minnesota and wheat in Colorado and Texas. “Those type of numbers perk the interest of farmers. Money talks,” according to Greg Lickteig, who oversees purchasing of organic grain for Scoular, a grain marketing company based in Omaha, Nebraska. 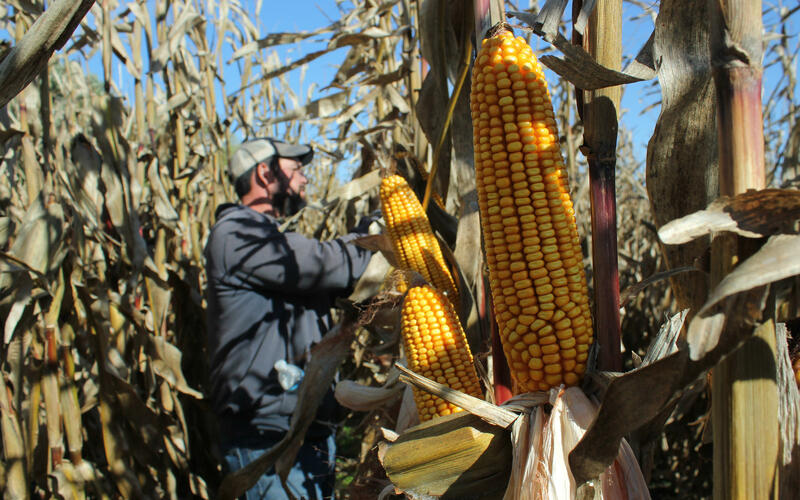 Demand from organic dairy and poultry farms is supporting the hefty premium prices for organic corn and soybeans that are used in animal feed, Lickteig says. Production of those crops jumped 30 percent in the U.S. from 2015 to 2016. Yet, half of the organic corn and three-quarters of the organic soybeans used across the country are imported. "So there’s a shortage, in that this country is importing to meet the demand," Lickteig says. In some cases, those imported crops aren’t actually organic at all. The Washington Post reported in May that millions of pounds of conventional soybeans shipped from Ukraine were passed off as organic in California. It would seem that presents an opportunity to farmers in the U.S., many of them worried that if the farm economy gets any worse, farms and rural banks could go bankrupt like happened during the farm crisis of the 1980s. But switching to organic is not as easy as ditching GMO seed and putting away the herbicide. Farmers have to buy new machinery like cultivators and rotary hoes that stir up weeds out of the soil. Also, organic regulations require that crop rotations go beyond just corn and soybeans. Farmers have to learn to grow new things like oats or clover. Some may view that as too big a change, especially since the average farmer is in his or her late 50s. "And they’re going to say, you know, I may only have 5 to 10 years left growing crops at all and the question is do I want to invest in a new system," says Craig Chase of Iowa State University, who takes questions from farmers considering going organic. Eric Thalken learned organic farming techniques by working for eight years on an organic dairy farm in Wisconsin. 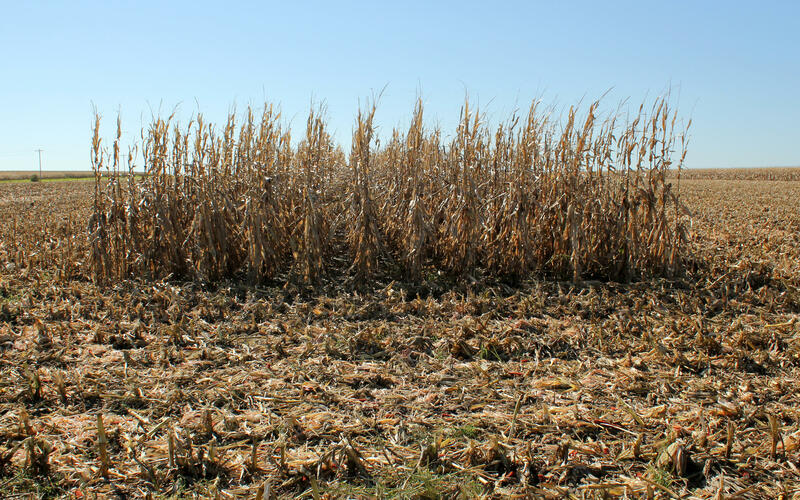 Even though organic grain prices are higher, Thalken says the margin for error is smaller. For instance, if a farmer is late to the field with their cultivator, weeds can get out of control and no herbicides will save you. It’s like working for a 4.0 GPA in college, Thalken says. It’s a risk, but with the farm economy in the doldrums, it’s one that more farmers are seemingly willing to take.